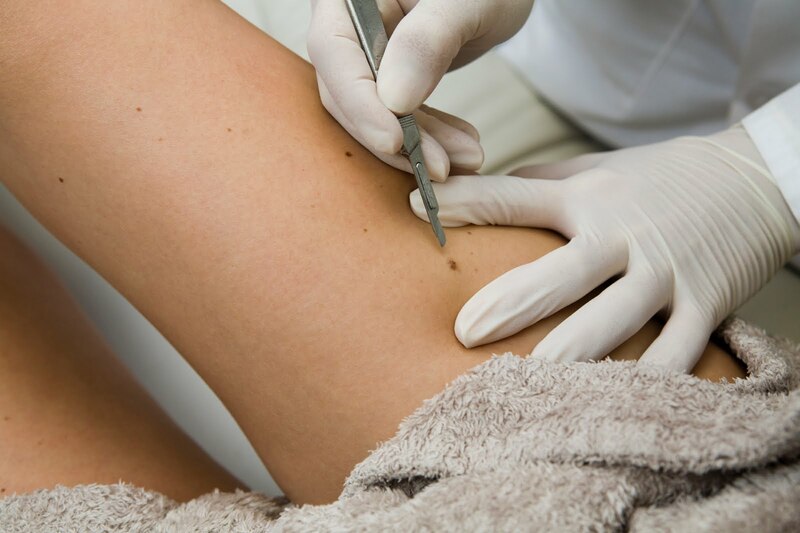 Skin lesion removal describes a variety of procedures that can be used to remove skin lesions such as moles, warts, skin tags, and cancerous growths. Procedures for skin lesion removal can include simple treatments such as biopsies to more advanced surgical excisions. In a biopsy procedure, Dr. Bunin takes a sample of the lesion in order to determine if the growth is a type of skin cancer or a benign growth. For an excision, Dr. Bunin uses a scalpel or other tool to remove the growth. Some skin lesions can even be removed using a medical laser. Dr. Bunin performs skin lesion removals at her office in Allentown, PA on an outpatient basis with local anesthetic. The area is first cleaned and the surrounding skin is numbed by the anesthesia. Most lesion removal procedures are performed quickly and may take 5 to 20 minutes. There is no pain during the procedure but patients may experience some discomfort at the site area after the anesthesia wears off. With her expertise in oculoplastic surgery, her training in dermatology, and her artistic touch, Dr. Bunin not only considers the most effective way to remove a skin lesion but the process that will create the most aesthetically pleasing result as well. Using her skill in performing cosmetic procedures for the face and neck, Dr. Bunin can minimize the appearance of any scarring after the removal of any mole, skin tag, or growth. Dr. Bunin will give each individual patient specific post-procedure instructions such as how soon you may shower, bathe or soak in water. In general, it is important to keep the area clean and dry and covered with a sterile bandage for 1 to 2 days. Pain that you cannot control with the medicines you have been prescribed. Dr. Lisa Bunin’s office is conveniently located in the Lehigh Valley region of Eastern Pennsylvania and seves surrounding communities such as Easton, Coopersburg, Quarkertown, Whitehall, Fulllerton,Hellertown, Macungie, Fogelsville, and Emmaus.